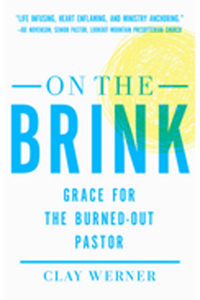 As I read On the Brink: Grace for Burned Out Pastors I felt Clay’s understanding arm wrapped around my shoulder, h is words carrying heartfelt empathy, something that can be hard for pastors to find. As I collapsed on my bed in the mountains, I read and silently wept. My Heavenly Father was tenderly pulling the pain out. I’ve peered over the fence of burnout a couple times. The first time was due to a mix of traveling too much, demands of ministry, and not enough intimacy with Christ. The second time I saw into the land of waylaid pastors from the vantage point of suffering. From either direction, I’ve found the Lord to be a great Comforter and Instructor. Both are necessary. If we receive only comfort, we will simply withdraw. If we only receive instruction, we with wither away on the vine. I have organized some insights from this book under four important headings: Empathy, Idolatry, Suffering, & Hope. It doesn’t take long, after experiencing a major storm in leadership, of you to being to wonder if you need to and on ship. Whether it’s a seventy foot waves or just an extremely slow lead in the nice weather, there are times when walking way form the community to which God has called you to minister seems to be safer than staying put. It is rare that all these things happen at once, but any pastor can attest that there are periods in ministry when one thing comes right after the next, leaving him exhausted and needing significant rest and renewal. Yet such rest is rare when a leader has to create yet another sermon for Sunday and get ready for yet another committee meeting…and still have time to be with and minister to his own family. Don’t just prepare meals for others; feast for yourself. “There is a deeper joy that can’t be touched by circumstances. Clay’s book is just $7 at WTS Books right now.